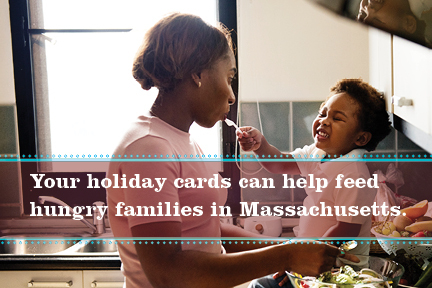 Every purchase of Project Bread's holiday cards helps prevent and end hunger in Massachusetts. To view the inside of a card, click "More information" under the image. Please note: Items purchased after December 17 may not be received by December 24. Holiday Cards - Make Way for Christmas! PROJECT BREAD is a service mark of Project Bread - The Walk for Hunger. Copyright © 2019 Project Bread - The Walk for Hunger. All rights reserved.